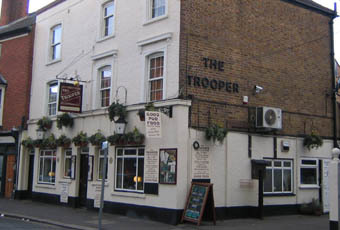 Went last night with an Army mate and first impression was that I'd like it as my local! Friendly staff and the Doom Bar was in good order. Liked the atmosphere and will definitely return. At �3.40 a pint of Pride, the publican should not have to look far when asking why the pub is empty. 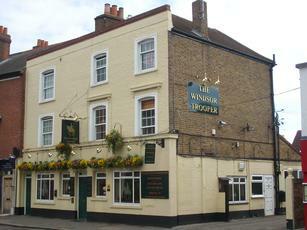 This has been a cracking pub in the past, no reason why it should not be again. Quiet one room pub with TV. Pleasant agreeable place to be in. Fullers London Price and ESB were on tap. Open plan L-shaped room with fake timber beams and lots of horse brasses, old kettles, hunting horns etc.......in fact anything made of brass is hung from the ceiling. Very 1970's feeling and a generally down at heel drab atmosphere yesterday afternoon with a number of exclusively male lone drinkers watching golf on tv while nursing pints. Very locals feel, off the tourist trail here. Fullers/Gales but only ESB and HSB on, Pride off. In fairness the beer was fine.